Are you planning on filling out a bracket or two for March Madness? How about adding one more #ForTheKids? Every year, college basketball fans fill out multiple brackets in hopes of creating the perfect upset and predicting the tournament winner. This year, Midtown Educational Foundation’s Auxiliary Board invites you to “bracket for a cause”! The Metro Advancement Council invites you to the 22nd Annual Luncheon benefiting Chicago’s Metro Achievement Center for Girls! 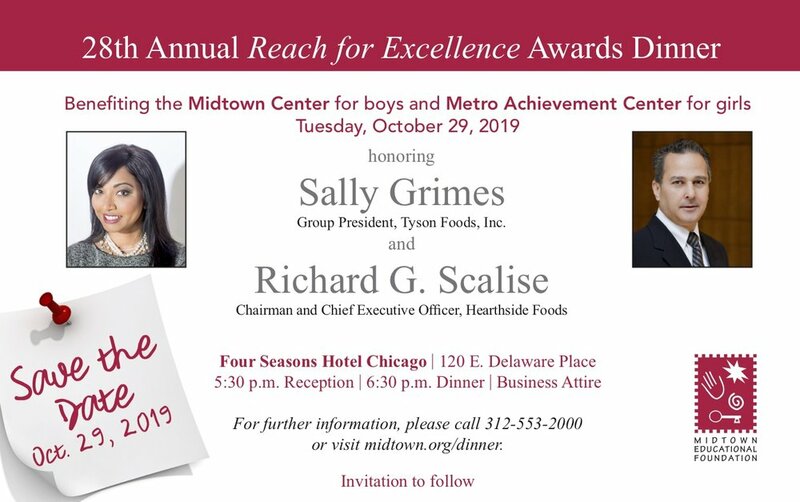 Monday, October 29, 2018 is the date of MEF’s 27th Annual Reach for Excellence Awards Dinner at the Four Seasons Hotel, 120 East Delaware Place in Chicago. Honorees are Kristi Ross, co-CEO and President of tastytrade and Charles W. Mulaney, Jr., Partner at Skadden Arps, Slate, Meagher & Flom. Please consider making a contribution here to the Dinner to support MEF student success! Please contact Terry Sullivan with questions regarding this year's dinner. Come see Metro Achievement Center for girls in action and learn about how you can help guide Chicago's low-income youth onto pathways of success. Can't make it on the 24th? Join us for Midtown Center for boys' Open House on July 17th at 1819 N. Wood from 11am-3pm. Come see Midtown Center for boys in action and learn about how you can help guide Chicago's low-income youth onto pathways of success. Can't make it on the 17th? Join us for Metro Achievement Center for girls' Open House on July 24th at 310 S. Peoria from 11am-3pm. All proceeds will support the summertime and after-school academic enrichment programs for over 1,100 Chicago's low-income youth at Midtown and Metro! Get your Soiree tickets today! Soiree guests: You'll have a chance to purchase raffle tickets in advance on the last page of the Soiree donation form. Opportunity to sponsor one aspect of the event i.e. “Courtyard presented by [your company’s name here]." View photos from the 5th Annual Soiree! Join MEF’s Auxiliary Board in our very first workout event at Barry’s Bootcamp Lincoln Park! One raffle ticket for your chance to win a ticket to our 6th Annual Soirée on May 18th! Thanks to Barry’s Bootcamp, ALL ticket proceeds will go directly to MEF’s kids!!! Join 400 guests from Chicago’s civic & corporate community in supporting Metro students to develop and grow as leaders! Individual tickets are $125. Read more about table sponsorships below. Register now for the Luncheon! Includes the purchase of one V.I.P. table for ten, premier photo and greeting opportunity with Kathrine, recognition displayed in Metro Achievement Center for 2018 year, recognition on the MEF website and marketing emails, presenting sponsor recognition on cover of event invitation, event signage and verbal comments during event presentation. Includes the purchase of one prime table for eight, recognition on the MEF website and marketing emails, sponsorship recognition in event invitation, event signage and verbal comments during event presentation. Includes the purchase of a premium table for eight, sponsorship recognition in event invitation, event signage and verbal comments during event presentation. Includes two tickets to the event, signage and brand recognition during the book signing and opportunity to give samples/promotion to all guests (400) either in person or from MEF to the event’s email audience (2,000+). Register now as a Sponsor of the 2018 MAC Luncheon! Or download the registration form here and mail it with a check made out to Midtown Educational Foundation. A safe summer program for Chicago’s low-income, academically average performing 4th-12th grade students. At Metro for girls (and our brother program Midtown for boys), kids find caring mentors, academic enrichment, character education classes and sports & field trips that provide countless fun summer memories. Metro offers girls an alternative to the streets that will guide them onto pathways of success. Afterschool tutoring and mentoring for academically-average youth from schools all across the city. Students are paired with a caring volunteer mentor and work with the same role model weekly. In addition to academic enrichment, students participate in Character Education classes where they learn about human virtues like respect, service, generosity, integrity and responsibility. Individual goal setting reinforces the lessons learned in the character classes. Extracurricular and fitness classes round out the holistic school year experience. A parenting program for MEF parents that offers classes and seminars to help them become leaders in their home and raise happy, healthy kids. Parents pay approximately 10% of what the programs cost. Generous sponsors make up the difference. Thank you in advance for your support! Join MEF Auxiliary Board Members, Midtown & Metro volunteers and MEF fans at the Winter Mingle at Sedgwick's Bar & Grill! 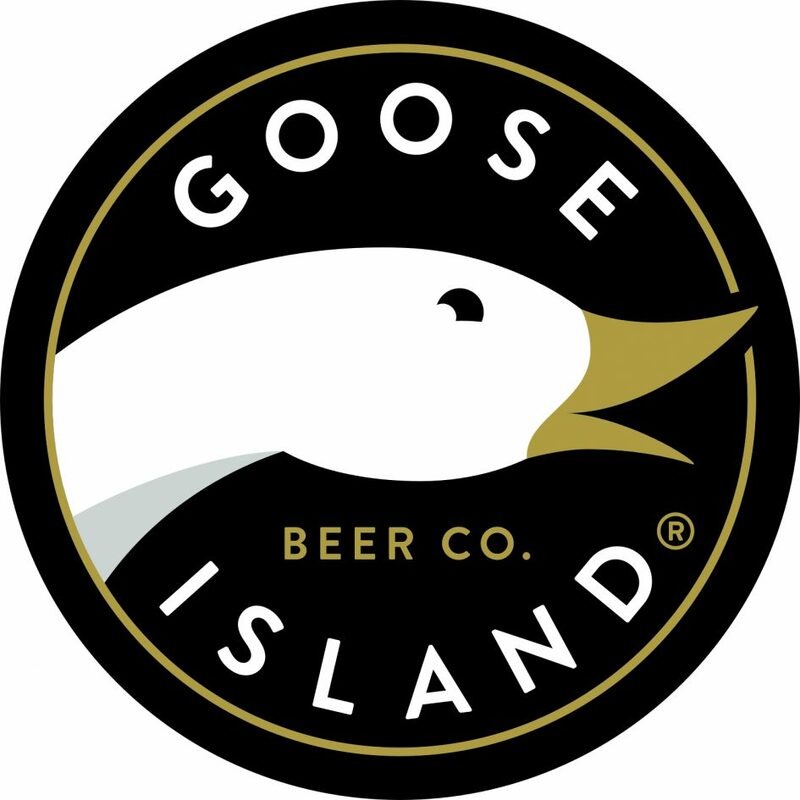 20% of all Lagunitas draft beers on 2/23 (and the whole week of Feb. 5-11th!) will be donated back to support MEF kids! Bring a friend who might be interested in volunteering, or supporting MEF kids through MEF events. Stay up to date with the Auxiliary Board here or on MEF's social media channels! Can I bring a friend? Yes! You just need to RSVP for them separately. What if I RSVP'd but can no longer attend? You'll be missed! Please let Chelsea Gibson (chelsea.gibson@midtown-metro.org) know to free a spot up for someone else. What is the attire? Festive and fun holiday attire - think a notch above business casual but a notch below cocktail attire. What are parking options? Street parking is available, or use MEF's referral link for $10 off a Spothero parking spot for new customers. Is there an Afterparty? Yes! Join us at Nine Muses (315 S. Halsted, 2.5 blocks west) for more merriment from 8pm on. What will the party be like? Old and new MEF friends gathering for Christmas cheer! There will be a photobooth and a custom snapchat filter to help capture the fun. Christmas music, signature Christmas drinks at an open bar, and delicious food by Tyson & Inspired Catering and Events will make for a festive evening! Presents & Santa hats will be gifted out when you donate to support MEF kids. Keep an eye out for a raffle for great prizes, Christmas games and a chance to win a free Soiree ticket! See you there! Learn more about how you can support MEF kids this Christmas with a gift to Midtown Educational Foundation. Join MEF Auxiliary Board Members, Midtown & Metro volunteers and MEF fans at the Fall Mingle at Old Town Social! This info session and tour are for any women interested in volunteering at Metro Achievement Center for girls this fall! Please fill out a volunteer interest form before you arrive. Contact Carolyn Madigan with questions. The Reach for Excellence Awards Dinner offers an opportunity to help place Chicago’s disadvantaged youth on a path to success. Join us for the 5th Annual Kickball Tournament at Lincoln Park! Register Now for the Tournament! If you are registering your team under your company's name, please use the Organization Registration Form here. Use the Organization Registration Form to sponsor the Tournament today, or contact Chelsea Gibson for more details. Can't make it on the 24th? Join us for Midtown Center for boys' Open House on July 11th at 1819 N. Wood from 11am-3pm. Can't make it on the 11th? Join us for Metro Achievement Center for girls' Open House on July 24th at 310 S. Peoria from 11am-3pm. Join MEF Auxiliary Board Members, Midtown & Metro volunteers and MEF fans at the July Mingle at Ranalli's! $10 at the door supports MEF kids and gets you a free drink. Bring a friend who might be interested in volunteering, or supporting MEF kids through various summer events. We will see you soon at MEF's second largest fundraising event of the year! This year's event will take place at a NEW VENUE, 36-hole White Pines Golf Club in Bensenville, IL. Contact Chelsea Gibson (email) at 832.216.6400 with questions. A safe summer program for more than 800 of Chicago’s low-income, academically average performing 4th-9th grade students. At Midtown & Metro, kids find caring mentors, academic enrichment, character education classes and sports & field trips that provide countless fun summer memories. Midtown & Metro offer kids an alternative to the streets that will guide them onto pathways of success. Eight professional apprenticeships for High School students in Law, PR, Engineering, Business, Hospitality and Architecture! Each apprenticeship is a cohort of 15-18 students who are immersed in hands-on learning experiences in an industry. The apprenticeships are conducted with the expectations of a workplace; students receive a small stipend and produce a capstone project. A parenting program for the parents of MEF kids that offers classes and seminars to help them become leaders in their home and raise happy, healthy kids. Join MEF Auxiliary Board Members, Midtown & Metro volunteers and MEF fans at the June Mingle at Benchmark! As the first Chicago on-air broadcaster to work at both English and Spanish language stations simultaneously, Zoraida broke new ground for Latinos in the No. 3 market in the country. An Emmy-winning journalist, she has won numerous awards for her work on two parenting programs created for cable distribution. Zoraida is a long-time champion of Chicago's at-risk youth and serves on the board of Midtown Educational Foundation. Zoraida will share her life story and career with luncheon guests. It is sure to be an engaging address as she speaks about the perseverance needed to succeed amidst the challenges she faced as a Latina woman and academically-average student growing up in Chicago. For more information and sponsorship opportunities, contact Chelsea Gibson (email) at 312.738.8300 x 23. Includes the purchase of one V.I.P. table for eight, recognition displayed in Metro Achievement Center for 2017 year, recognition on the MEF website, presenting sponsor recognition on cover of event invitation, event signage and verbal comments during event presentation. Includes the purchase of one V.I.P. table for eight, recognition on the MEF website, sponsorship recognition in event invitation, event signage and verbal comments during event presentation. Includes the purchase of a prime table for eight, sponsorship recognition in event invitation, event signage and verbal comments during event presentation. Includes the purchase of a premium table for eight and recognition of support through event signage. The Metro Achievement Center promotes the personal and educational development of Chicago’s inner-city girls, in part through their exposure to professional women in Chicago. Join MEF Board Member Michael Scudder as he shares wisdom and observations from his time working as former White House Legal Advisor to President George W. Bush and General Counsel of the National Security Council. Come meet fellow volunteers, MEF fans and supporters. We ask for a $10 donation at the door to support MEF kids, and we will be raffling off one ticket to the 5th Annual MEF Soiree! For the whole month of March, MEF kids will benefit from the #SippinwithSedgwicks partnership: 20% of all Pipeworks brewery beers sold will be donated back to MEF! Join MEF on the top floor of the State Street Macy's for our annual Volunteer Appreciation Christmas Party to celebrate the generous gift of time and talent from over 300 MEF volunteers! Past, present and potential volunteers welcome at this complimentary evening of food, drinks, and merriment. The centers will present the 2016 Volunteer of the Year Awards! For those planning to drive, MEF will have discounted parking passes (thanks to Interpark) for the garage across the street from Macy's (20 E. Randolph). Validation stickers for discounted $16 parking passes (normally $40) will be available at the event registration table! Online registration for the Volunteer Appreciation Christmas Party is now closed. Guests who have not RSVP'd may still attend, but will be asked to pay $20 at the door.